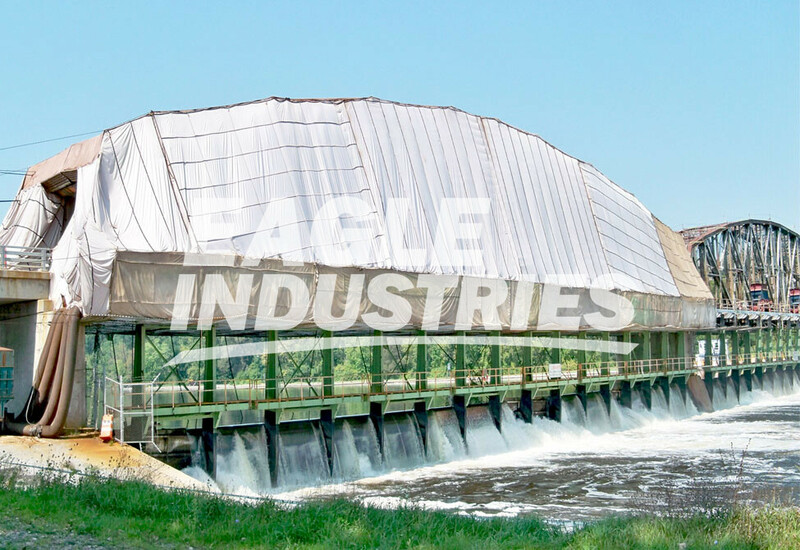 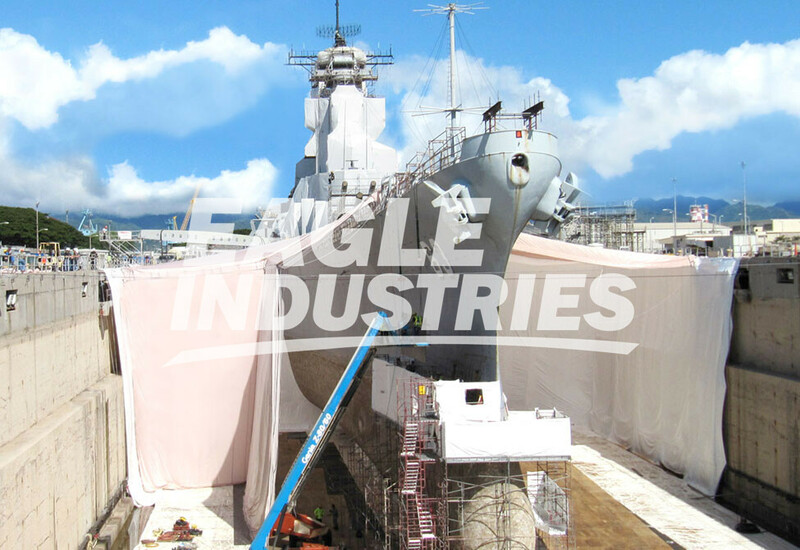 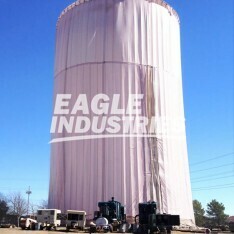 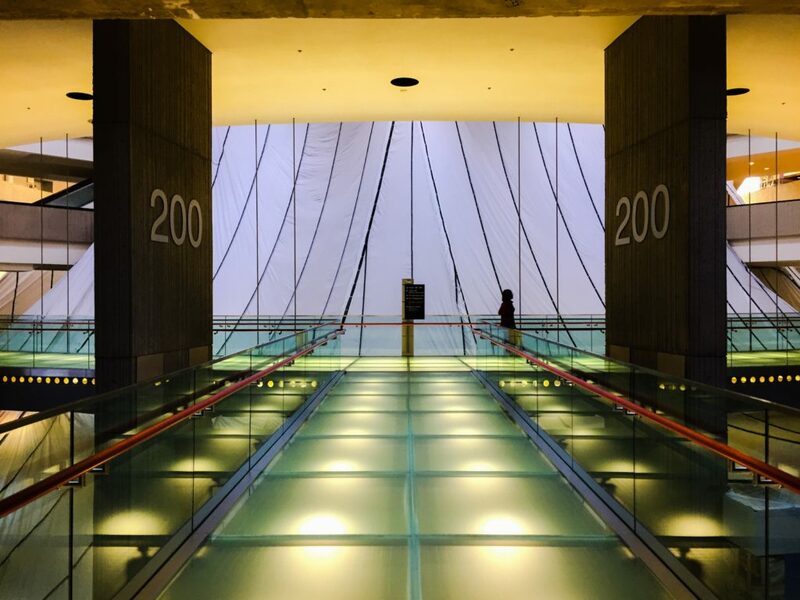 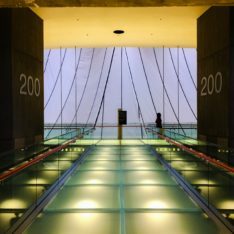 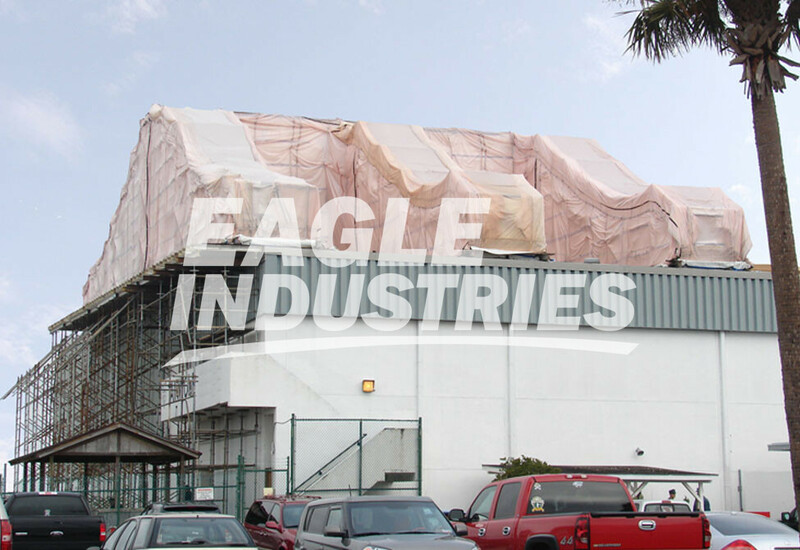 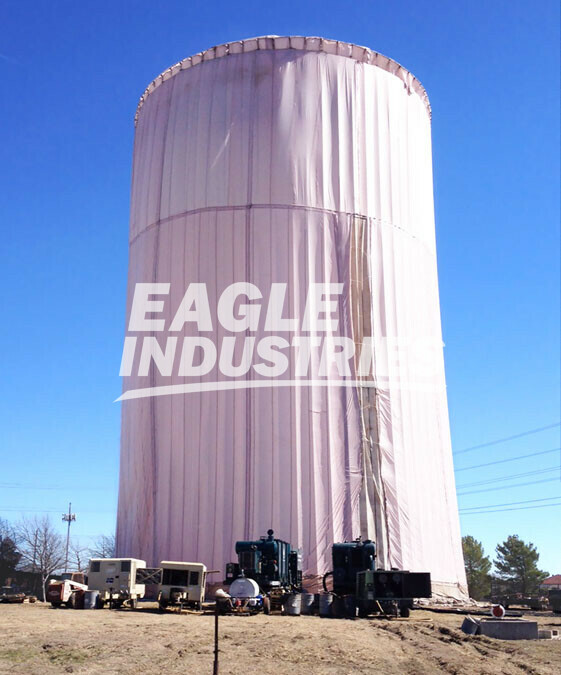 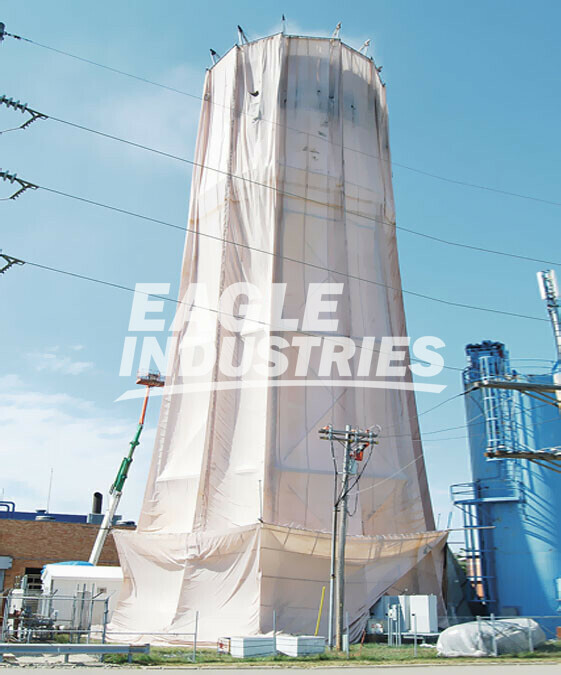 Coated Airbag tarps are most commonly used as 100% containment for industrial paint overspray, abrasive blasting, lead abatement, fireproofing overspray and general construction applications. 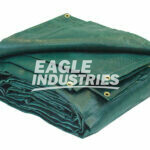 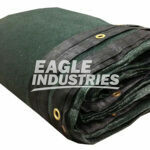 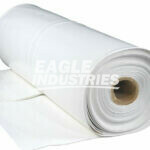 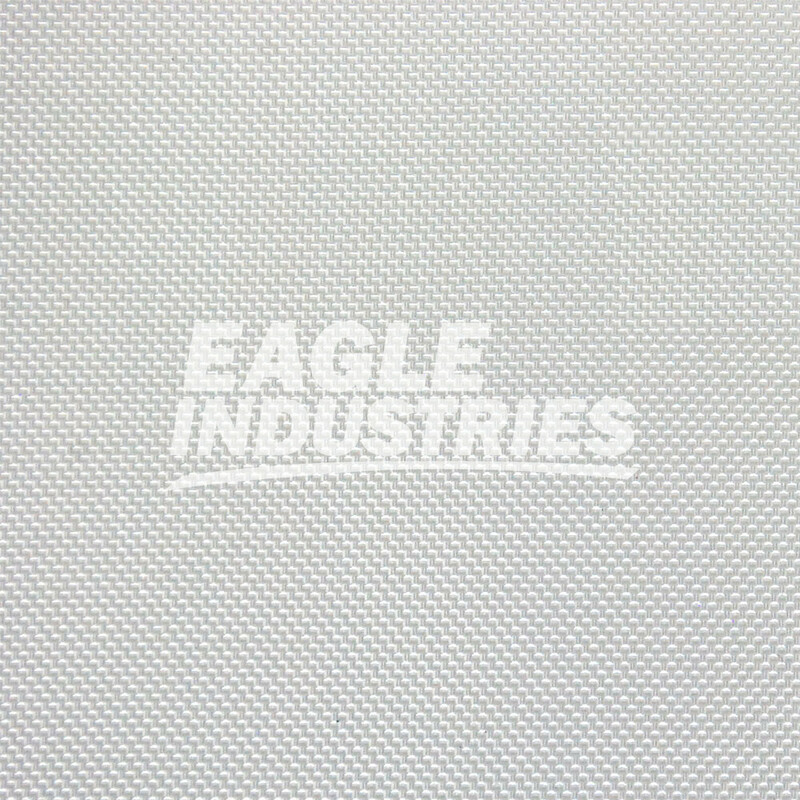 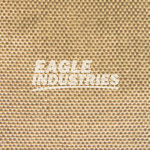 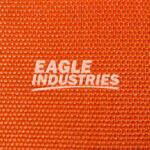 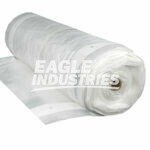 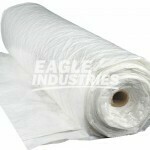 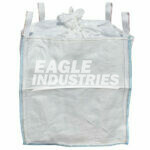 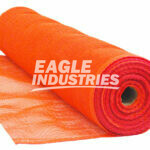 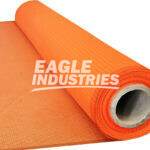 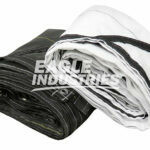 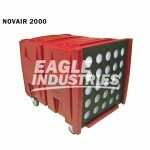 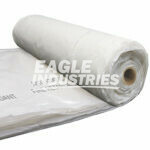 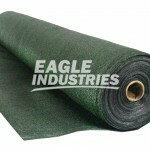 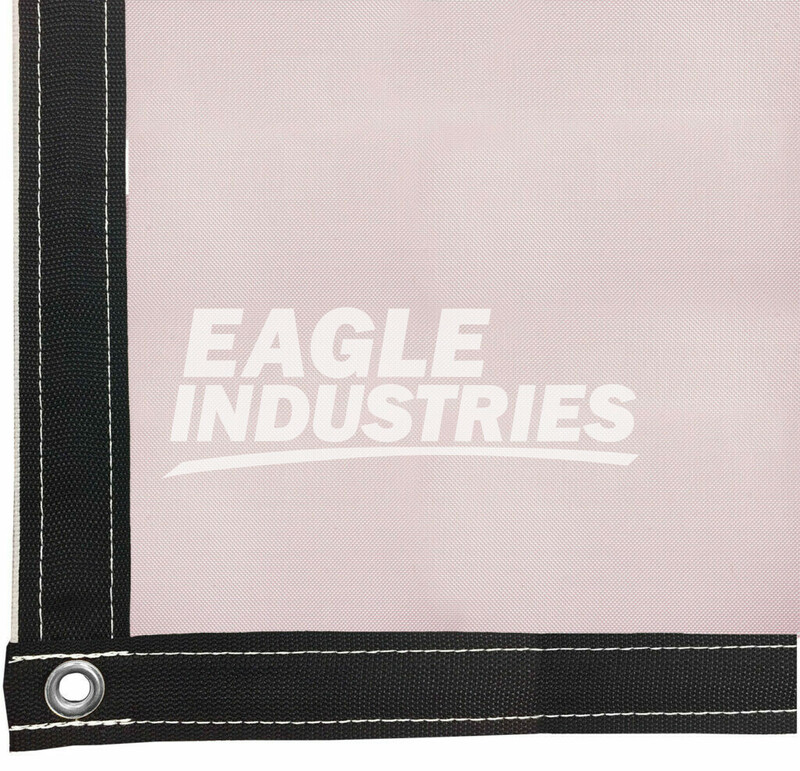 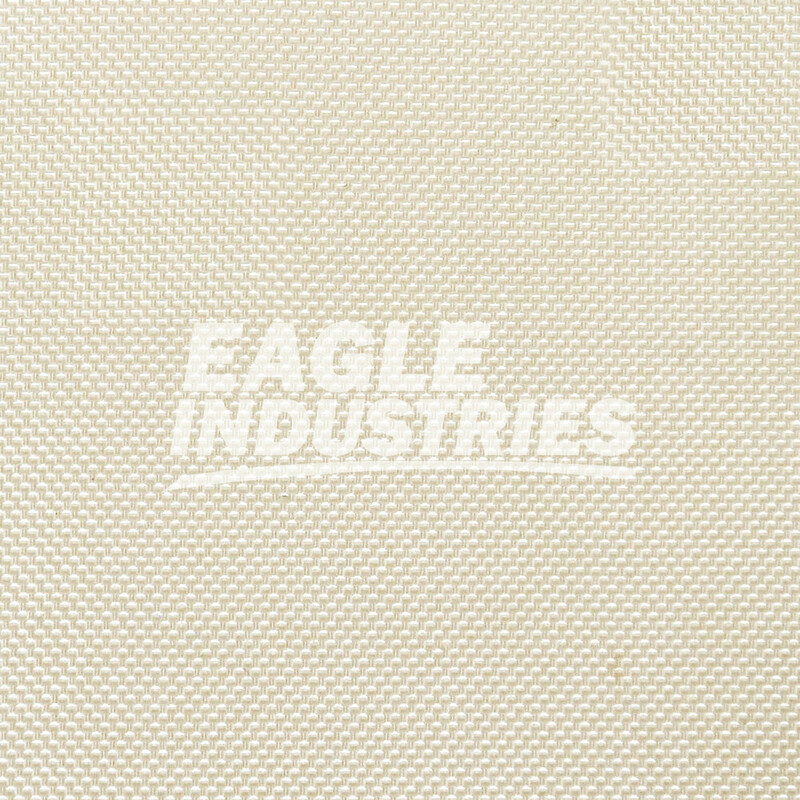 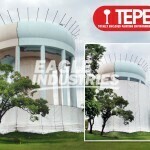 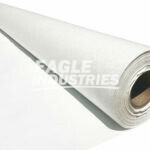 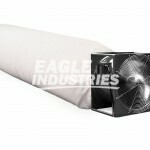 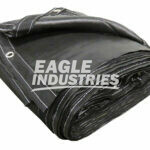 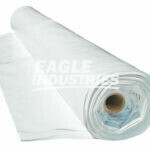 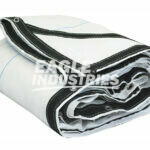 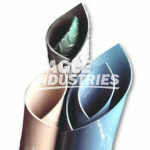 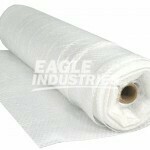 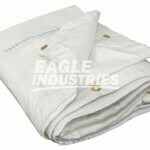 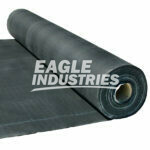 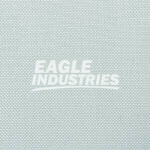 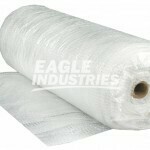 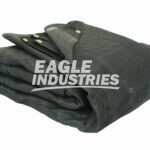 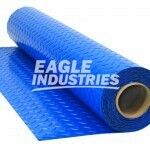 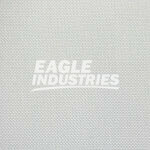 Coated airbag tarps are made from high strength woven nylon fabric with a silicone coating for impermeability. 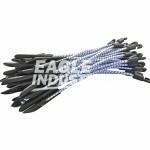 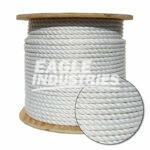 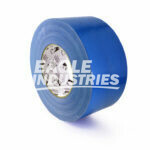 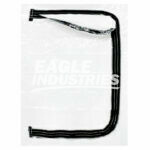 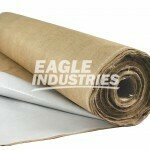 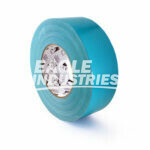 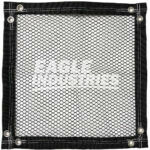 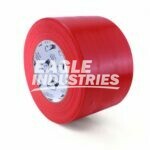 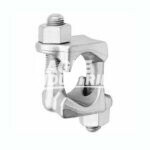 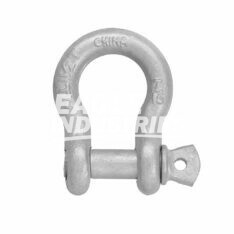 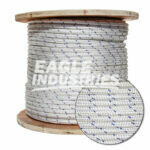 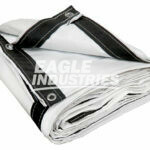 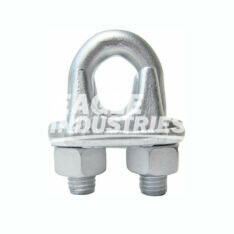 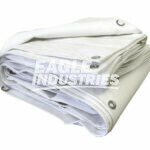 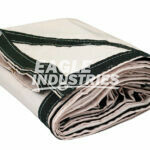 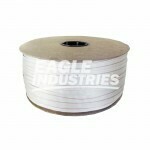 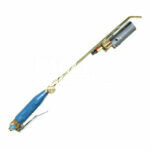 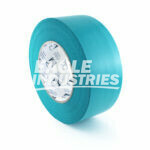 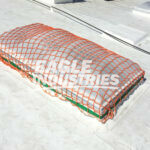 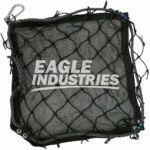 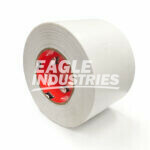 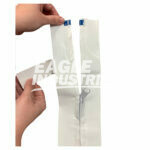 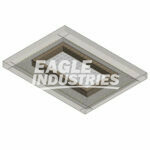 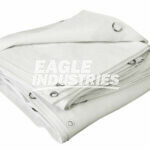 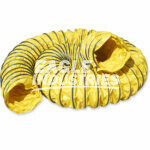 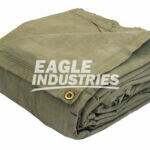 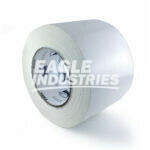 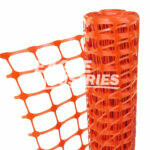 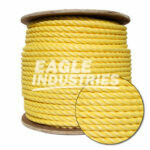 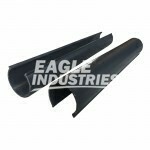 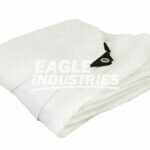 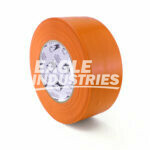 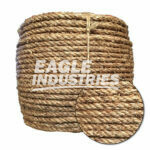 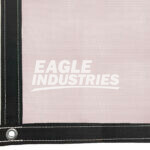 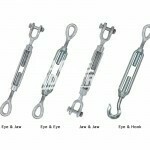 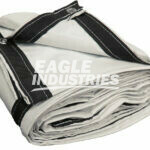 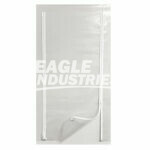 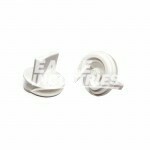 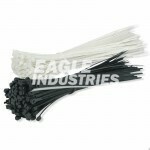 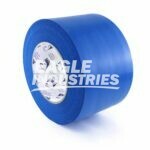 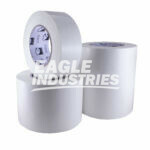 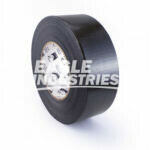 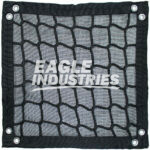 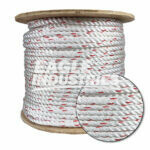 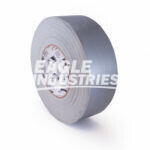 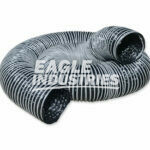 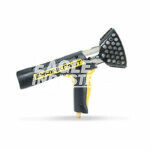 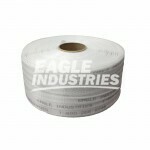 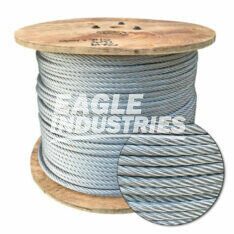 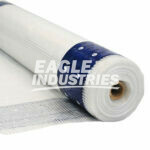 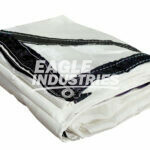 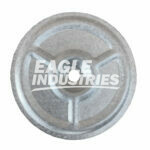 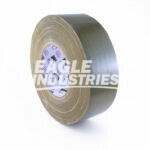 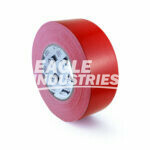 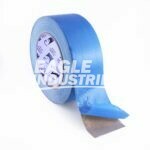 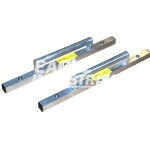 Airbag tarps include 2" heavy duty reinforced webbing and rust proof grommets. 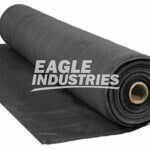 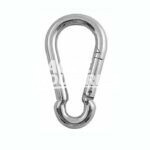 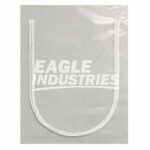 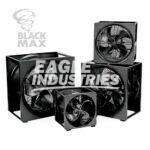 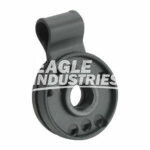 These tarps include internal center seams with additional webbing and grommets down the middle of the tarp for maximum attachment points. 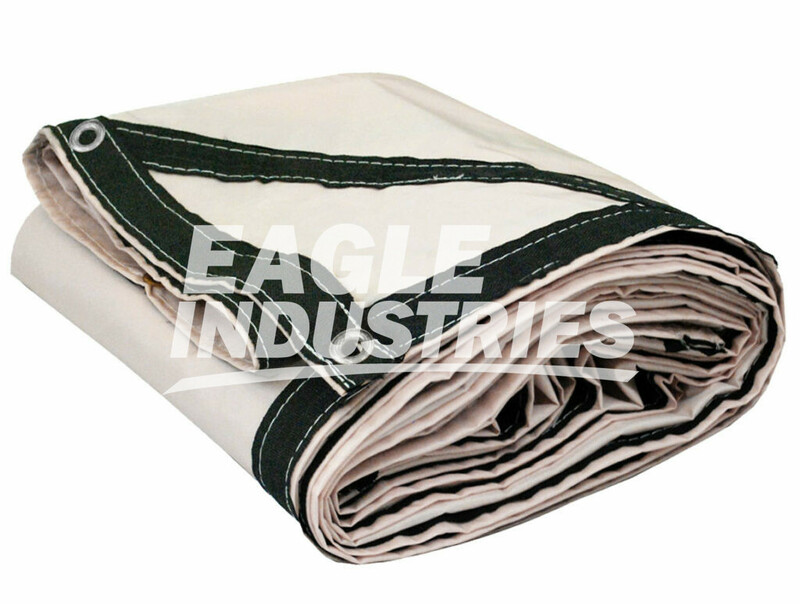 Airbag tarps may include reverse overlaps, opposite-side overlaps, or same-side overlaps on the outer edges for secured containment. 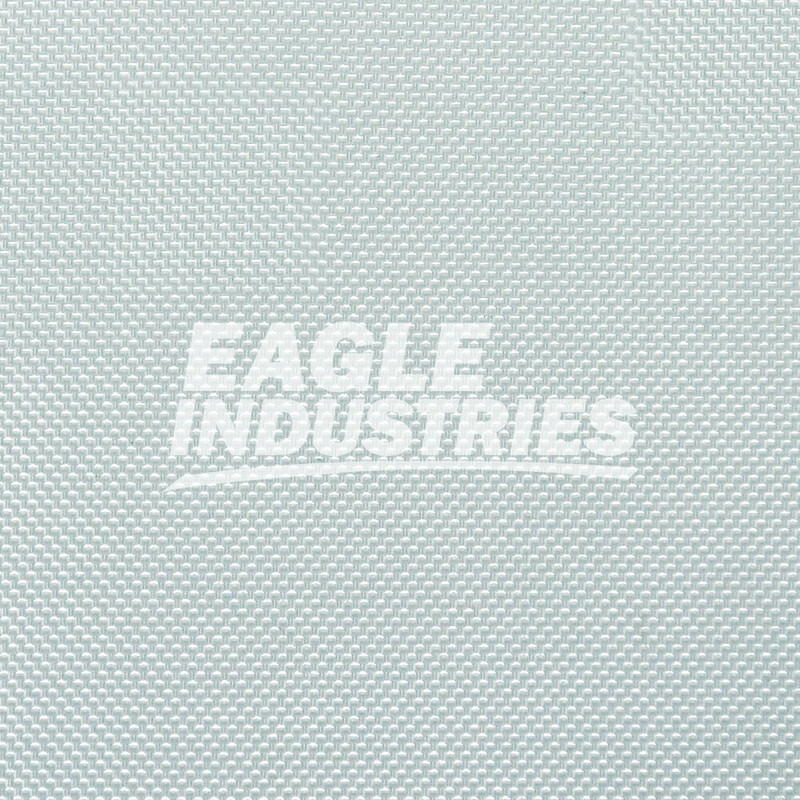 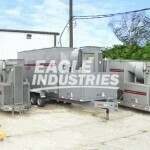 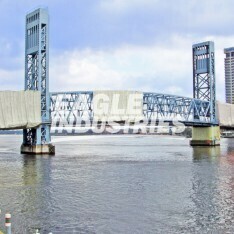 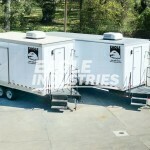 Reverse overlaps can be described as "male and female” edges which allow to securely join two tarp panels together creating a seal for the containment or enclosure. 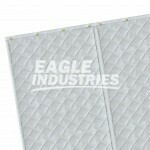 Opposite-side and Same-side overlaps allow the installer to achieve a "roll-and-pinch technique" either inside or outside the contained area. 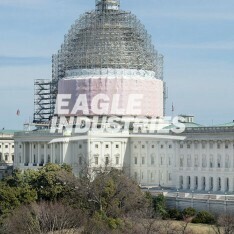 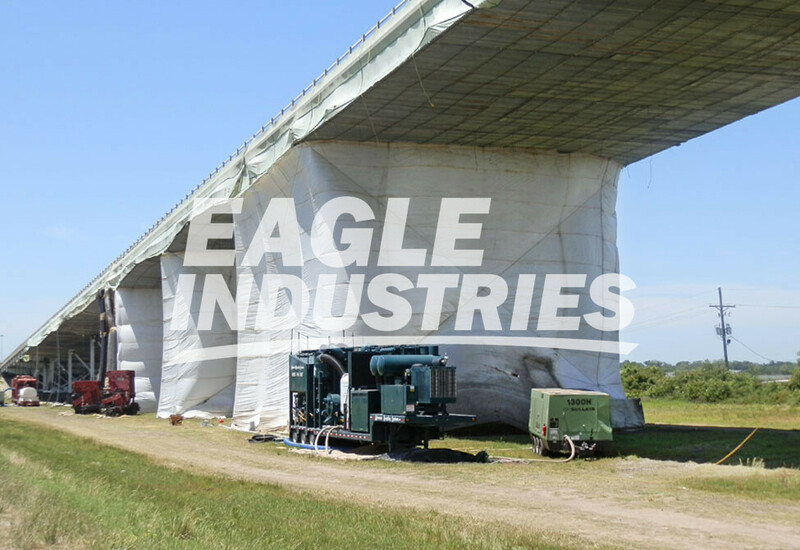 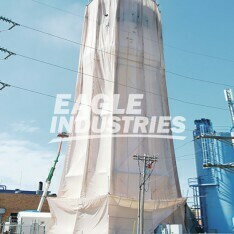 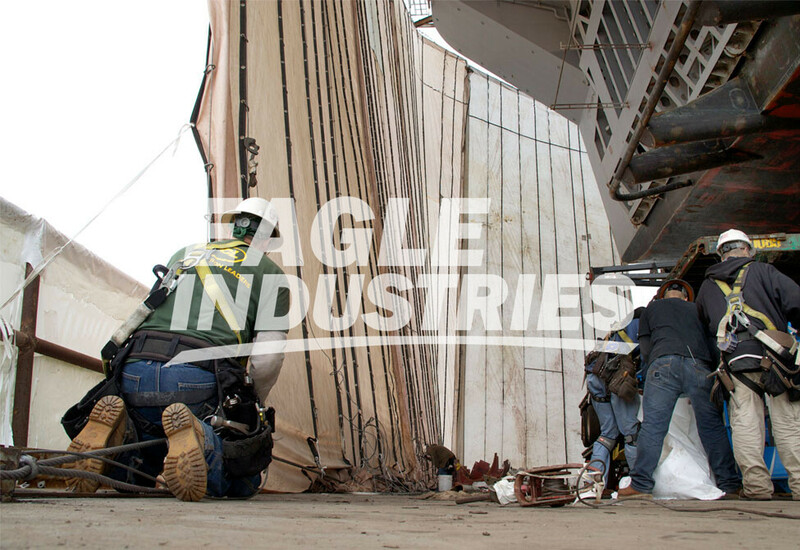 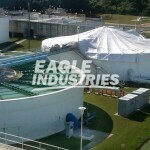 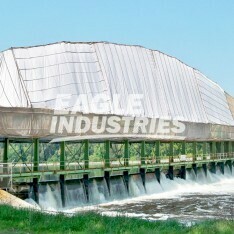 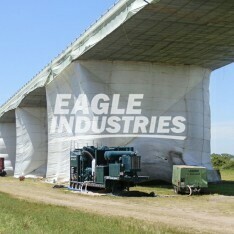 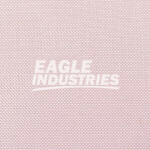 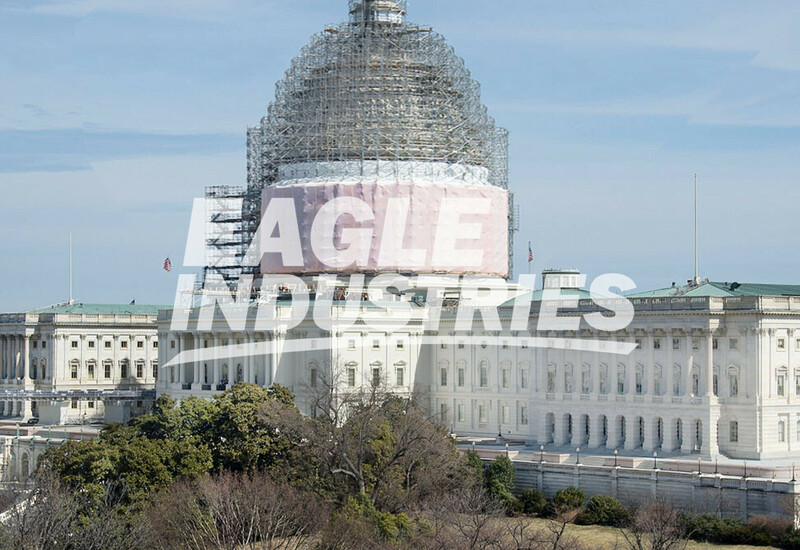 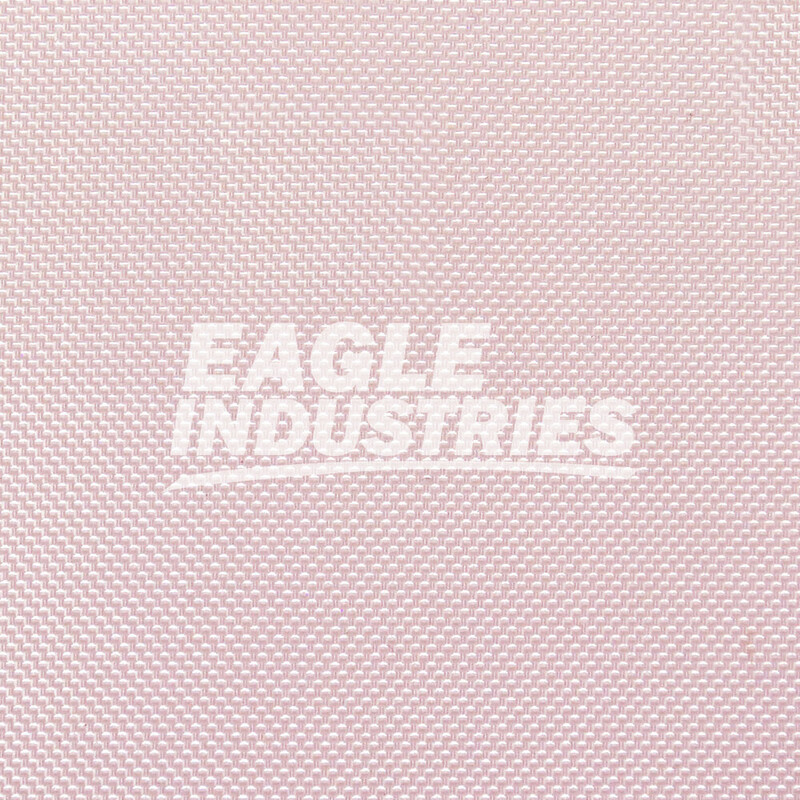 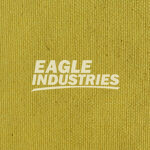 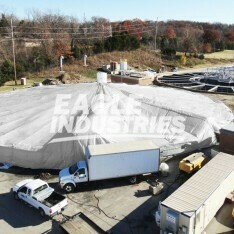 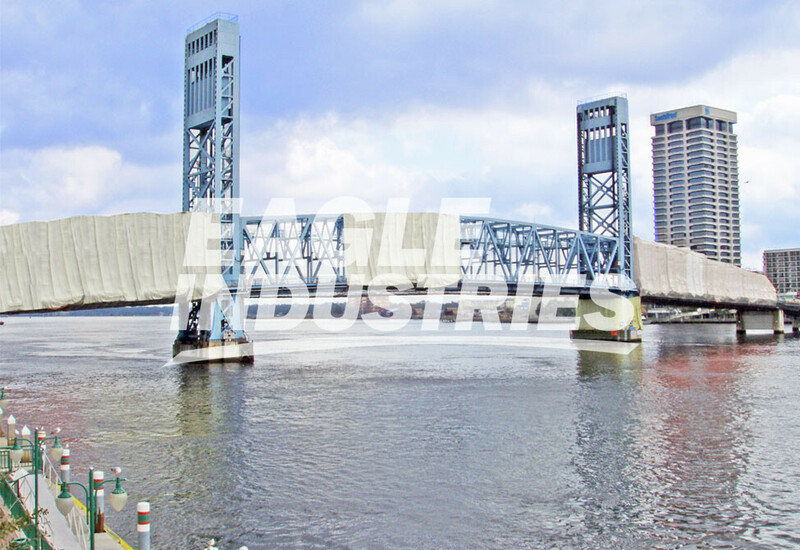 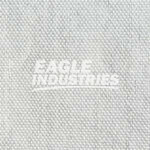 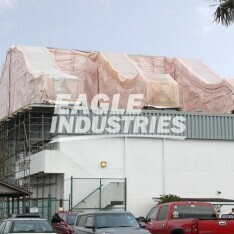 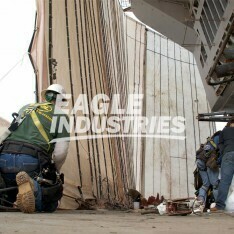 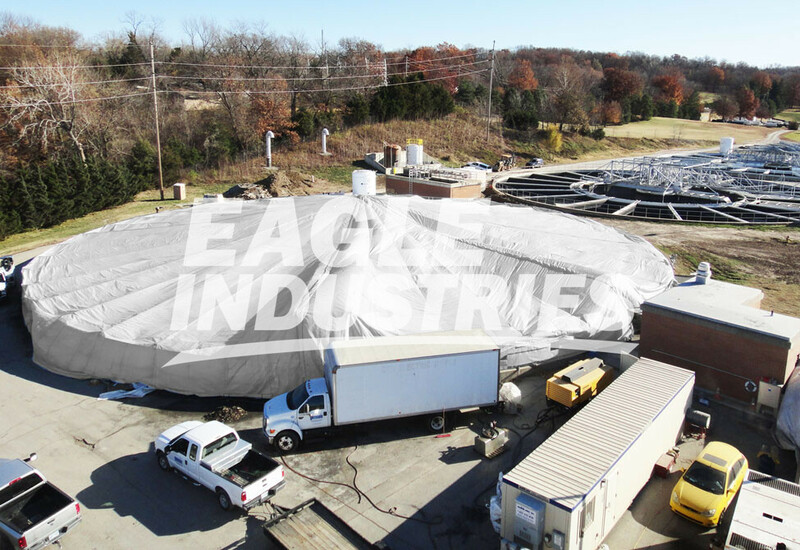 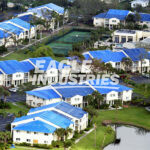 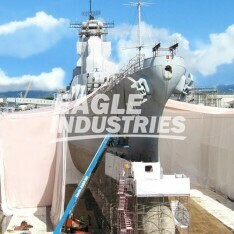 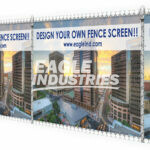 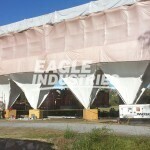 All airbag tarps are tested and approved to meet today’s industrial and construction standards. 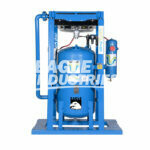 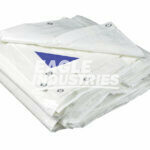 All airbags tarps are constructed to meet SSPC Class 1A containment standards.